Does your community have forest-friendly development practices? 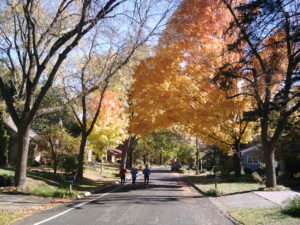 Not every city in Wisconsin has a municipal code or ordinance that includes trees, and even then, those that do have codes may not have forest-friendly ones. A new resource has been created and has taken care of the hard work of determining if your city’s codes are forest-friendly; and if they are not, the resource provides advice on how trees can be more welcome in your neighborhoods. Making Your Community Forest-Friendly: A Worksheet for Review of Municipal Codes and Ordinances is a tool to help bring trees and forests back into our neighborhoods. It was designed to help communities review and revise their development regulations so future projects conserve valuable trees and woodlands and encourage new plantings. It provides a set of questions to help determine whether existing local codes require, allow or prohibit “forest-friendly” development practices. The worksheet can be used by municipal staff, non-governmental organizations and others to identify specific approaches to improve codes. The document also provides additional resources, ideas and guidance for developing a community forestry program. This publication was developed with input from subject matter experts including foresters, planners, transportation engineers, homebuilders and fire administration representatives. The practices aim to maximize tree cover protection without compromising other goals, such as public safety, visibility, access and economic value. Making Your Community Forest-Friendly was developed by the Center for Watershed Protection, with funding from the USDA Forest Service. For questions about this resource, contact Karen Cappiella, Director of Research for the Center for Watershed Protection at kc@cwp.org.